This Sunday, as daylight saving ends, Quell, a leading provider of fire and safety equipment reminds families to check their smoke alarms and replace any expired smoke alarms in their homes. Smoke alarms that are more than 10 years old should be replaced. To know when your smoke alarm was manufactured, look for a batch number, which is typically printed near the battery compartment. A batch number of 2406 indicates that the product was manufactured in the 24th week of 2006. 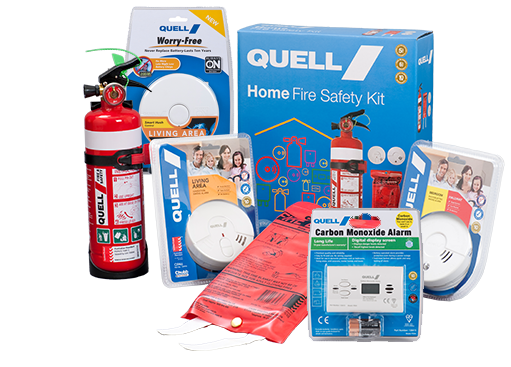 Quell alarms have a date of manufacture printed clearly on the base, while some manufacturers now place the expiry date on the smoke alarm. “Working smoke alarms are the only smoke alarms that can save lives and property, and it is important they are maintained properly,” said Laundry. So change your clock, check your alarm for the age and replace batteries where possible.